You’re sold on the idea of content marketing — that is, developing strategic, relevant content that provides value to your audience while driving a call to action. You know that it’s the right strategy for your business. You’re ready to put funding behind it, but maybe aren’t sure where to start, what it will really cost, or how to go about it. Like anything new, starting a content marketing program can feel overwhelming, intimidating, and more work than you have time for. We’re all writers, right? Developing the content itself may not be all that hard. Dedicating resources to it on a regular basis week after week and in a way that is original and delivers business results? That is what’s difficult. If your content marketing has been slow to lift-off, consider hiring a firm that specializes in this type of content to get things progressing. A content marketing firm specializes in creating desireable and consistent content that is aligned with your goals and business strategy. Additionally, they can develop strategies around choosing the right channels, formats, voice, which metrics to measure, and ensuring the right tracking is in place. Content marketing is something I’m passionate about and often recommend for my clients, but it isn’t something I actually do. To learn more, I reached out to Melissa Harrison – owner of Allée Creative – to get her insights into the whys and hows of hiring a content marketing firm. Content marketing takes work. A lot of it. If you have an in-house team, first maximize the resources you have. Make a list of each team members’ strengths and what each is able to contribute to either developing or executing content. A content marketing firm can also help you through this process. Identify your team’s weaknesses, then fill those gaps with an outside firm. A partnership with a content marketing firm can be made to fit into whatever your organization needs. Whether you need an entire marketing department or just a really good editor — use an outside firm to scale up or down as your needs change. 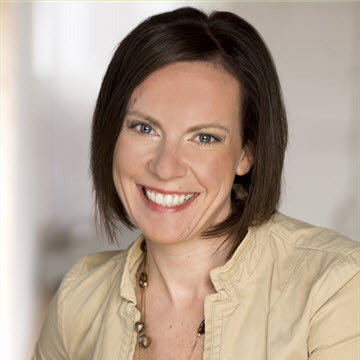 At Allée, Melissa uses a 12-month retainer for almost all of her firm’s clients. The first few months are spent developing the strategy and getting the structure into place, then her team uses the remainder of the year to execute, refine, and listen. “It’s all about keeping a pulse on the industry; being present in the conversation at all times,” says Melissa. In addition to ongoing fees related to planning, writing, and placement, there are several other costs to consider. Additionally, ask what your content marketing contract doesn’t include. Publishing once or twice per month probably won’t cut it. On the other end of the spectrum, publishing 45+ new blog posts every week — like HubSpot — is probably too often for your needs. Your organization’s cadence probably falls somewhere between these extremes. If you’re using social media tools, the amount of content you publish on Facebook will most likely be widely different than the amount of content you publish on Twitter (as it should be, they are very different platforms). Your content marketing firm can help you assess the content needs of your audience and where it makes sense to spend the majority of your time. For example, if after a few months you find that Twitter is not generating traffic to your website or other desired actions, they will help you rethink that channel for your organization. There is a big advantage to hiring a particular firm because they already have expertise in your industry or niche. You don’t want to waste precious marketing dollars teaching someone else about your industry. But do plan on investing time into teaching them about the specifics of your business. If a content firm works for your direct competitor, be ready to ask hard questions. It would be embarrassing to find out that a competitor’s blog post was also published on your site. Melissa recommends asking prospective firms directly about their approach to delivering fresh, relevant content to your audience and how they’ve handled similar content strategies in the past. Content that generates leads or incites action doesn’t happen by accident. It takes lots of research and planning. Your content marketing firm should work hard to understand what your customers need and want. At Allée, they use multiple channels to listen for keywords, track trends, and develop source lists for ongoing content ideas and hot topics in a client’s particular industry. A good content firm should also conduct research about your current audience and potential customers. Another critical part of creating compelling content is analytics. Your content marketing team should ensure that you have the right tools to track success and have a true understanding of which content (over time) drives traffic, leads to engagement, and ultimately entices your audience to act in the way that fits your business goals. What has others’ experiences been like? I posed this question to a marketing colleague who has experience hiring and working with multiple content marketing firms. 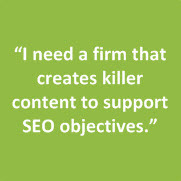 “Content marketing firms have helped me get a lot of content out quickly when launching a new campaign/content platform. “In one instance, we were starting a new blog and wanted a lot of great content, but didn’t have capacity to do it ourselves, although we had the skill set. The content marketing firm helped us find professional writers and had a defined and streamlined review and approval process. “Another great feature was the easy payment process. 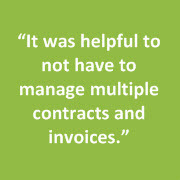 It was helpful to not have to manage multiple contracts and invoices, allowing all of us to focus on the work of creating and publishing great content. Looking back, it might have been a good idea if we also allowed the writers to enter and publish the content into our CMS. “In another example, I worked with a content marketing firm to try out different styles of writing. We had a strong brand and writing voice/style, but we had not regularly published content (via email, blog, and on 3rd party sites) before. “We tried out a variety of styles (interviews, light-hearted, how-to, etc.) and lengths to find out what felt most brand-right. Working with a content marketing firm allowed us to quickly try out a lot of different styles and get a fresh perspective from a variety of writers. On the downside, a couple of projects didn’t turn out quite right — so there was a little bit of wasted effort on those. “You get what you pay for, and content marketing firms can be expensive. But, I’m glad I partnered with the firms in order to help achieve the business goals and not over-work my teams. What’s been your experience with hiring a content marketing firm? If you are currently outsourcing your content marketing, what advice do you have for other organizations? Tweet me at @kristineremer.